A scald--a burn from hot liquids or steam--can be painful. Treating yourself promptly can help relieve the discomfort. In a first-degree scald or burn, your skin is red, swollen and painful, but you can treat this minor burn yourself. However, Mayo Clinic warns that you should seek emergency medical attention if the scald covers large portions of your hands, feet, face, groin or buttocks, or involves a major joint. Second-degree burns and scalds feature swelling, blistering and severe pain. The Mother Nature website notes that if the burn is smaller than a half dollar, you can treat it at home; otherwise, seek medical attention immediately. A third-degree scald or burn, in which the skin appears charred, leathery or creamy white in color, requires emergency medical care. Hold the scalded skin under cool, running tap water, and keep it there for at least 15 minutes until the pain subsides. If this isn't practical or possible, immerse the scalded area in cool water, or use cold compresses. The Mother Nature website notes that this treatment prevents the further conduction of heat and helps relieve pain. "The first and most important thing is to stop the burning process," says William P. Burdick, M.D., associate professor of emergency medicine at the Medical College of Pennsylvania. Don't use ice, or ice-cold water; these can damage your skin. Cover the burn with a sterile gauze bandage. Wrap the gauze loosely to prevent pressing on the scalded area, and leave the bandage in place for 24 hours. Take an over-the-counter pain reliever if you don't have any conditions that preclude its use. Mayo Clinic advises taking aspirin, acetaminophen, ibuprofen or naproxen, but it advises caution when giving aspirin to children or teenagers. If you have any doubts about taking the medication, consult your doctor. Wash the scalded area very gently with soap and water daily after the first 24 hours have passed. Keep it covered and dry between washings. Break off a piece of leaf from an aloe plant two or three days after the scald, and wipe the gel gently over the injured area. You can also use commercial aloe vera cream. 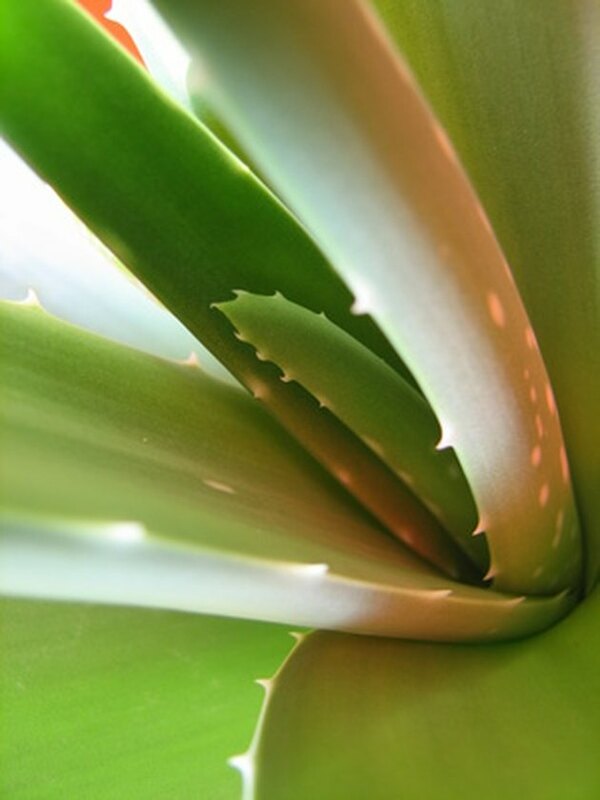 According to the Mother Nature website, aloe can moisturize the area, as well as soothing pain. Dab on an over-the-counter antimicrobial cream containing polymyxin B sulfate or bacitracin to discourage infection and promote healing. Use a sunscreen over the affected area when you go outside, at least for the first year, to prevent both re-injury by sunburn and discoloration from tanning. According to the Mayo Clinic, allowing the scalded skin to tan might cause pigmentation changes. If you experience fever, redness, increased pain, swelling or oozing from your scalded skin, Mayo Clinic advises seeking medical care. Don't use cotton, terry cloth or any other material for your bandage; these might leave lint on scalded skin, further irritating it. Never use home remedies, such as butter, honey, grease or vinegar, on a scald. The Learning Info website warns that these substances can cause infection.